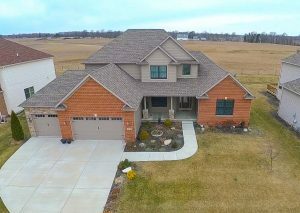 If you’re currently searching for a custom built home in West Lafayette – This might be the place for you! There are many stunning features this home offers. Not to mention it is conveniently located in the desired Winding Creek subdivision with a short drive to I-65 and Purdue University. As you drive through Winding Creek you’ll notice beautiful custom built homes, mature trees, large lots, sidewalks, and multiple ponds. The neighborhood also backs up to Coyote Crossing golf course with great views and a relaxing setting. Be sure to watch our virtual tour below. If you’d like to schedule a showing – Contact your Lafayette real estate agent or call LuAnn Parker directly at (765)490-0520. Learn more about the Tippecanoe County School Corporation.